On this Foster & Orphan Elephant Tour visiting all of the Sheldrick Wildlife Trust properties you’ll explore Kenya’s famous wildlife sanctuaries and discover the world-renowned biodiversity and cultures that the country is known for. This safari is designed to maximize elephant viewing opportunities, expose you to local culture and conservation initiatives, and support the David Sheldrick Wildlife Trust. It’s a condensed version of our In the Shadow of Giants Elephant Tour visiting ONLY the 4 Sheldrick Wildlife Trust facilities in Kenya. Upon arrival at the airport, you will be greeted by Capture Africa Tours and transferred to the EKA Hotel for overnight. After breakfast and a briefing by your Capture Africa Tours representative, we will visit the Sheldrick Wildlife Trust Nairobi Nursery. We will visit 3 times today; at the public, foster, and private visits. Between visits we will have lunch at the Karen Blixen Coffee House. We will end our day back at the EKA Hotel for dinner (on your own – there are 2 restaurants on-site) and overnight. This morning we will drive from Nairobi to Ithumba in Tsavo East National Park. We spend the next two nights at this exclusive Sheldrick Wildlife Trust self-catering property only available to SWT foster parents. During our stay we will enjoy delicious meals prepared by the staff chef. We will visit the stockade at both morning and evening feeding time and experience the elephants at their afternoon mud bath. We will see abundant wildlife around our lodge with breathtaking views of Tsavo East National Park. The beauty of the location combined with both wild and orphaned elephant interaction is sure to inspire you. After breakfast, we will drive through Tsavo East National Park to Voi Wildlife Lodge. This will be our home base for the next 2 nights while visiting the SWT Voi Reintegration Unit. The lodge has a watering hole that attracts wildlife right next to the lodge offering amazing views as you dine or relax in the bar area. The orphans who have graduated to this area are gradually weaned off their milk, and in their own time, can choose to join the wild herds that have been meeting them in bush excursions with their keepers. While at Voi we will take game drives to see an abundance of wildlife including lions, wild elephants, zebra, wildebeest, and impala (just to name a few). In the evening we visit the stockades. Today we travel to the Kibweze Forest and Sheldrick’s private camp, Umani Springs. This self-catering property is only available to SWT foster parents. All revenues generated at the property protect and preserve this 16,000 acre wilderness. Upon arrival we will have lunch and have time to relax in the serene surroundings. Following our evening visit to the Umani stockades (within walking distance!) we will enjoy a delicious meal prepared by the staff chef. 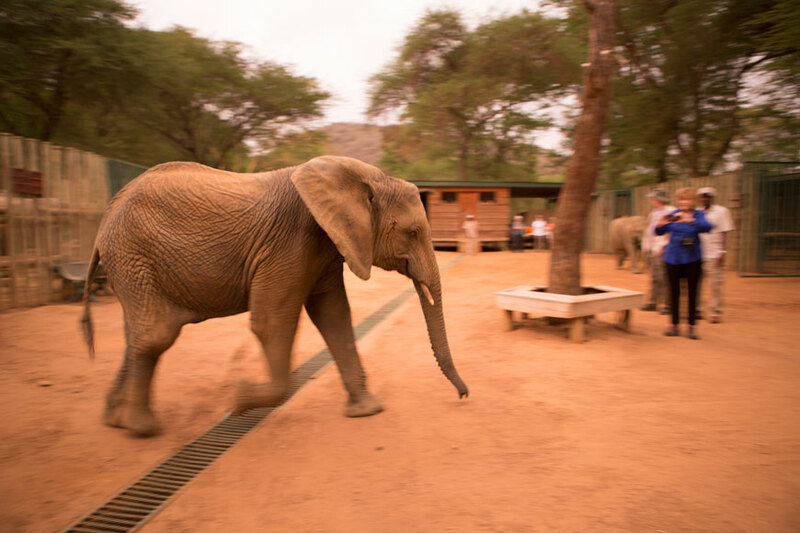 We will spend two days here interacting with the elephants and enjoying the beautiful views. After breakfast we depart for Nairobi today. We will arrive in the afternoon where you can freshen up in your day room at the EKA Hotel prior to your international departure. As a group we will share a farewell dinner in Nairobi at the Tamarind Restaurant. Following dinner you be transferred to the airport for your fight home. 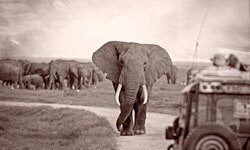 You must have fostered an elephant within the last 12 months to go on the private visits to SWT. 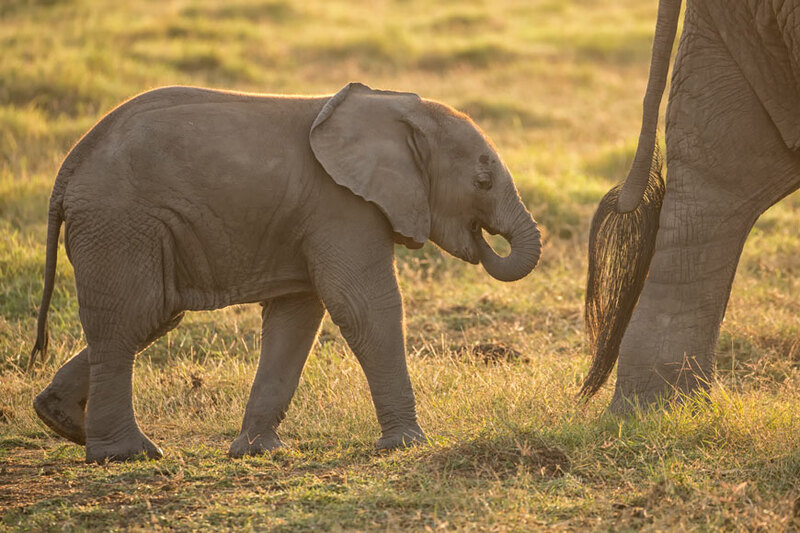 Elephants can be fostered for $50 (at your own cost) through the SWT website. Thanks Lisa for your comment and wanting a comparison done between the two tours…I will be sending you an email to bring attention to the differences. Thank you Barbara for requesting pricing on the Foster & Orphan Elephant tour. I will be in touch with the pricing. This is the exact tour I’d like to do for my 50th. Can you do it again in 2021? Thank you Ray for getting in touch about this fantastic tour we are offering. Please send me an email to info@captureafricatours.com and I will reply to your email with more details. We are interested in the foster parent trip, but would like to continue on to the crater and other key sights of Kenya and Tanzania. creating a two-three week trip. Thank you Juli…we are ready to help in any way we can to make your tour happen. Please send me rate and date information. This is my bucket list trip! Amber thank you for your interest in our tours. Have you received our email with more details about the DSWT tours? Thank you for reaching out and wanted to know if you have received our email in regards to the tour you are asking about? Can you please pass along the cost of the 9 day tour? Does it include airfare? Thank you for getting in touch and you should have received our email…please let us know if you have. Jeanne thank you for getting in touch regarding out DSWT tours. We sent you a recent email detailing our various tours and will be in touch again to discuss more with you. Can you please send me info on 2019 and 2020 dates and rates. We’re currently fostering 7 elephants and one baby rhino from DSWT. Thank you! Hoping you received my email in regards to our elephant tours to the Sheldrick Wildlife Trust? Please could you send me more info and rates for the foster and orphan elephant tour and the Maasai Mara and elephants tour. Thank you. Hello Dawn and thank you for getting in touch to find out more about our tours. Did you receive our email with pricing? I was looking for pricing for this year’s 9 day trip on October 25th and next year’s trip on Sept 20th. Thank you. Hello Andy…did you receive our email in regards to the tour you are interested in? Time to start checking off that bucket list. Would you please send me pricing and details on this trip? Thank you! Hello Brenda…did you receive the info from us via email that was sent to you? • See elephants, giraffes, zebras, cheetah, lions, and impala in their natural habitat in Tsavo East National Park. This tour is designed for those who have a love for nature and wildlife. This tour is especially appealing to elephant lovers who already have fostered elephants with the Sheldrick Wildlife Trust or are willing to foster.